People do not come to Florida expecting to get hurt, but for all kinds of reasons that happens to far too many, and often in one of the least-expected places – their hotel. The experienced lawyers at the Law Firm of Andrew Winston have handled all kinds of premises liability cases, including injuries that occur due to the negligence of hotels. We have successfully litigated cases just like yours, and know exactly what it takes to prove liability and get you the compensation that you need and deserve – while showing big hotels that they can not get away with putting their guests in dangerous situations. When you go to a hotel – any hotel – you have an expectation that you will be safe and comfortable and that the staff will attend to your needs. But hotels are big operations. Sometimes bags are lost. Or lights go out. Or someone forgets to put up a wet floor sign. All of these things have the potential to cause accidents and injuries. Obviously, most of these issues are not solely limited to hotels in Florida, but due to the size of the operations and the unmatched level of traffic coming and going, there is a lot to cover. What Kind of Responsibility Do Hotels Have to Guests? Of course, just because you experience an injury while visiting a hotel in Florida, that does not mean that the owners are automatically responsible and that you will get compensation. There are rules and laws that apply to premises liability, and you have to be able to show that your situation meets those requirements or there is no way that you are going to win your suit. When you contact Andrew Winston for your free initial consultation, we will be able to look at the specifics of your injury and use our experienced to tell you whether or not we feel that you have a viable case that is worth pursuing. So, when exactly can a hotel be held liable for a person getting into an accident on their property? When they fail to keep the premises “reasonably” safe. This can include things such as neglecting to put up required safety signs, blocking off areas that are problematic, and deciding not to hire security or put up cameras, just to name a few potential issues. When they neglect to address a known issue. Known can mean two things. The first is that someone was already hurt due to the same issue but the hotel did nothing to fix the situation and prevent it from happening again. But even if no one was previously harmed, it is possible for a hotel to still know about a potential issue (such as uneven walkways) and choose to do nothing because they do not want to expend the time, effort, or money required to fix it. The tough part in these instances is finding a way to demonstrate that the hotel knew about the problem. When harm (either due to their action or inaction) should have been foreseeable. Hotels may be able to be held liable for some issues even if they did not know about them in advance. 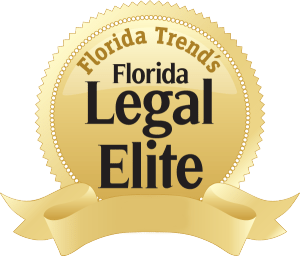 In these situations, the burden is on you and your attorney to show that the problem was so obvious or severe that a reasonable person should have been able to tell that a problem might arise. For example, if the hotel is located in an area with a high crime rate but has no security, most reasonable people could probably predict that criminals would take advantage of this. The other side of foreseeable harm is if the hotel has a specific practice they follow that ends up harming someone. If a reasonable person can look at that practice and see that it might eventually lead to harm, the hotel should be held responsible. At the Law Firm of Andrew Winston, we have experience in all kinds of similar cases and know precisely what is needed to prove that the hotel is responsible and needs to compensate you. Medical bills. Going to the doctor or hospital can add up fast, and if the hotel is responsible for your injury, they should pay. At the Law Firm of Andrew Winston, we’ve even been able to win people compensation for future medical expenses in some cases. Pain and suffering. Above and beyond the actual cost of your treatment, injuries cause both physical and emotional pain and distress that you should not have to go through. In-house help. Those who suffer a temporary or permanent disability due to a hotel’s negligence will likely need to hire someone to provide household services to take care of them, their children, or their estate. You should not have to pay for this if the accident wasn’t your fault. Job loss or lost wages. Serious injuries may mean that you can’t work, either on a temporary or permanent basis. The loss of income coupled with medical expenses is a double whammy that most people just can’t survive on their own, and if it is determined that the hotel was responsible for causing your injuries, they should pay you for lost work in addition to the actual bills you receive. Do not just sit idly by and hope that the hotel will do the right thing. 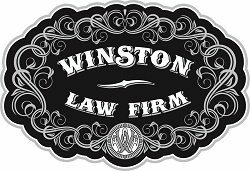 Your best chance at getting the compensation that you deserve is to work with the experienced hotel injury lawyers at the Law Firm of Andrew Winston. We offer a free initial consultation, and most of our cases are taken on a contingency basis, meaning you won’t owe us anything until we win compensation for you. To learn more, call us today at 866-306-9606 (toll free) or 954-606-6606 (South Florida), or fill out our online case review form.